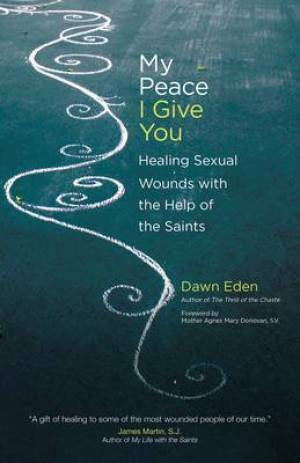 Dawn Eden, internationally known speaker and author of the bestselling "The Thrill of the Chaste," tells how the lives of the saints have given her hope and aided her journey of spiritual healing after childhood sexual abuse. My Peace I Give You by Dawn Eden was published by Ave Maria Press in May 2012 and is our 7262nd best seller. The ISBN for My Peace I Give You is 9781594712906. Be the first to review My Peace I Give You! Got a question? No problem! Just click here to ask us about My Peace I Give You.